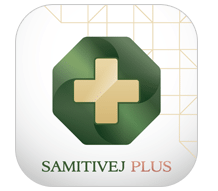 Samitivej Plus is an easy-to-use smartphone application that connects Samitivej services together. Samitivej Plus for the first time enables patients to check their hospital queue number on their own mobile device and receive information online in real time. The application will guide patients through every step, from the very first moment of arriving at the hospital to treatment, medicine pickup, etc. What’s more, Samitivej Plus allows patients to request a doctor’s appointment, view their medical history, make easy online payments and directly call Samitivej ambulance services in case of an emergency. Requirements: iOS 7.1 or later. Compatible with iPhone and iPod Touch.